With November’s United States midterm elections behind us, cannabis is now legal in three more states. Michigan now allows the recreational use of marijuana, and Missouri and Utah passed medical use laws. The citizens of North Dakota, the fourth state to have cannabis on the ballot, decided to pass on making recreational cannabis legal, at least for now. With 10 states (Alaska, California, Colorado, Maine, Michigan, Massachusetts, Nevada, Oregon, Vermont, Washington) and Washington, DC passing laws allowing the adult use of marijuana, any adult over the age of 21 can now engage in cannabis cultivation legally at home—except in the state of Washington, where it is illegal to grow for private use. 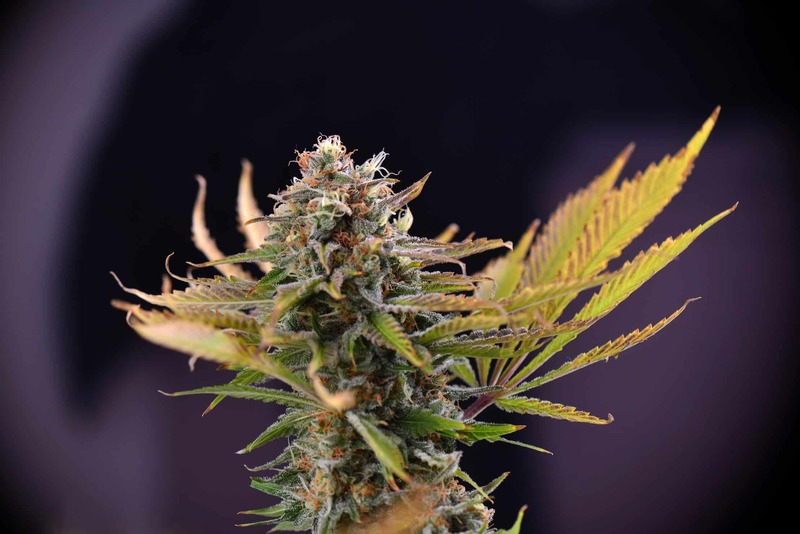 Like home beer brewers who love hand-crafted suds, some people prefer to grow their own cannabis for a variety of reasons, including lower cost, controlling their own purely organic growing practices, and growing superior flower being just a few. While it’s wonderfully liberating for cannabis cultivation enthusiasts to come out of the closet and legally grow their own marijuana, the home-growing laws are not consistent in each state. Every recreational marijuana state crafted its own laws and has its own take on exactly what home growers are allowed to do. Most states have similar laws requiring plants to be grown in a secure location that’s not visible to the general public, although there are slight variations on those details. Most states also require written permission from the property owner if the grower does not own the residence. To learn more about recreational marijuana laws, let’s take a look the recreational home-growing and purchase-limit laws on a state-by-state level. The northern state of Alaska allows an adult age 21 and older to grow up to six cannabis plants, with no more than three flowering at one time. There is a 12-plant limit per household if there are at least two adults living in the residence. Purchase limitations are a gray area in Alaska, with no specific purchase parameters existing. However, since there is a one-ounce possession limit, adults 21 years of age or older may purchase up to an ounce of recreational marijuana per day. Adults 21 and older in California may grow up to six cannabis plants for personal use. The plants must be grown in a secured area indoors. If local regulations allow it, the plants may be grown outdoors in secured areas. Adults may purchase up to an ounce of marijuana per day from a licensed, recreational, adult-use store. Recreational seed sales are allowed in California. Interestingly, although Colorado was the first state to be up and running with legal recreational marijuana, the state’s home-growing laws are among the most restrictive. Colorado state law allows each resident 21 years of age or older to grow six plants, with as many as three flowering at one time. Beginning in January 2018, each household is limited to 12 plants, regardless of the number of adults who occupy the residence. The growing area must be secured and locked, with no access possible to minors. Adults may purchase up to an ounce of marijuana per day from a licensed adult-use store. Recreational seed sales are allowed in Colorado. Adults 21 years of age or older may cultivate up to six flowering marijuana plants at one time. The plants must be grown in a secure area on property owned by the adult, or the adult must have written permission from the property owner. Recreational cannabis consumers may purchase up to 2.5 ounces per day from a licensed, adult-use store. The state of Michigan is the most recent state to pass laws allowing the recreational use of marijuana, which it did at the mid-term elections in November 2018. Adults 21 years of age or older may grow up to 12 plants in a secure area. When the sale of recreational marijuana is up and running in Michigan, adult recreational cannabis consumers may purchase up to 2.5 ounces per day from a licensed adult-use store. The recreational cannabis laws in Massachusetts are quite similar to Colorado’s laws with some minor variances. Adults 21 years of age or older may grow up to six plants, with a limit of 12 plants per household. Adults may purchase up to an ounce of marijuana per day from a licensed adult-use store. The state of Nevada allows adults 21 years of age or older to grow up to six plants in a secure area, with 12-plant limits per household, with only six plants flowering at a time. Home cultivation, however, can only take place if the resident lives 25 miles or more from an adult-use store. This is one of the most restrictive conditions any state has for growing recreational marijuana. Adults may purchase up to an ounce of marijuana per day from a licensed adult-use store. Oregon allows adults 21 years of age or older to cultivate up to four plants per household. This puts Oregon on the restrictive side as far as growing legal cannabis goes. There are harsh penalties for anyone who owns a home within 1,000 feet of a school and grows marijuana, which is not legal in that school zone. Adults may purchase up to an ounce of marijuana per day from a licensed adult-use store. Adults may also purchase up to 10 cannabis seeds in Oregon. Adults age 21 years or older may grow up to four immature plants and two mature, flowering plants per “dwelling unit.” This makes Vermont one of the most restrictive state as far as cultivation. It is not legal for adults to sell or purchase marijuana in the state of Vermont. However, adults may gift up to an ounce of dried flower. No recreational seed sales are allowed in Vermont. No growing of recreational cannabis is allowed in the state of Washington. Residents who break this law face stiff penalties. Adults may purchase up to an ounce of marijuana per day from a licensed adult-use store. No recreational seed sales are allowed in Washington state. The District of Columbia has the most unusual recreational cannabis laws of all the legal adult-use states. No sale of cannabis is allowed in the region, but adults 21 years of age or older may cultivate up to six plants, no more than three of which that can be flowering, per residence. Although the sale of cannabis is illegal, adults 21 years of age or older may gift up to one ounce of marijuana to another adult who is 21 years of age or older. No recreational seed sales are allowed in the District of Columbia. The state laws regarding private recreational marijuana cultivation, purchase limits, and seed sales are highly variable. What is legal in one state may not be in another. Some states have gray areas when it comes to recreational marijuana laws, a situation that will hopefully change in the future to provide clarity about adult use. When the U.S. federal government finally addresses the legal status of both medical and recreational cannabis, it will be interesting to see if each state has its own set of laws or if there will be universal federal laws in place. Speculation about this varies, with many people thinking that state laws will vary for cannabis much as they do for alcohol. The freedoms we have to engage in cannabis cultivation is a privilege during these uncertain times for full cannabis legalization. Home-growers in legal recreational cannabis states would be wise to enjoy the opportunities their states provide. The rewards can be great!